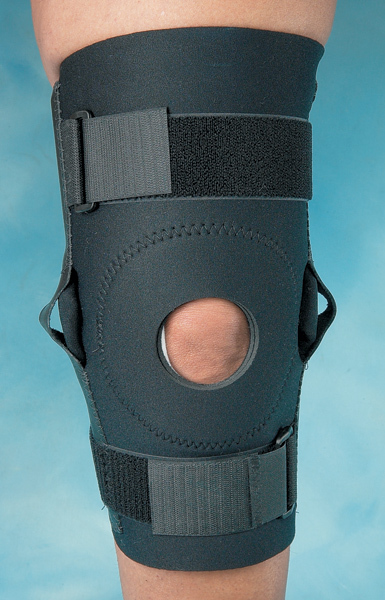 The Comfortprene™ Hinged Knee with Buttress Pad is made of 1/8" (3.2mm) neoprene with a nylon liner. Two neoprene-covered, aluminum, hinged stays with hyperextension stops at 170°, one medial and one lateral. 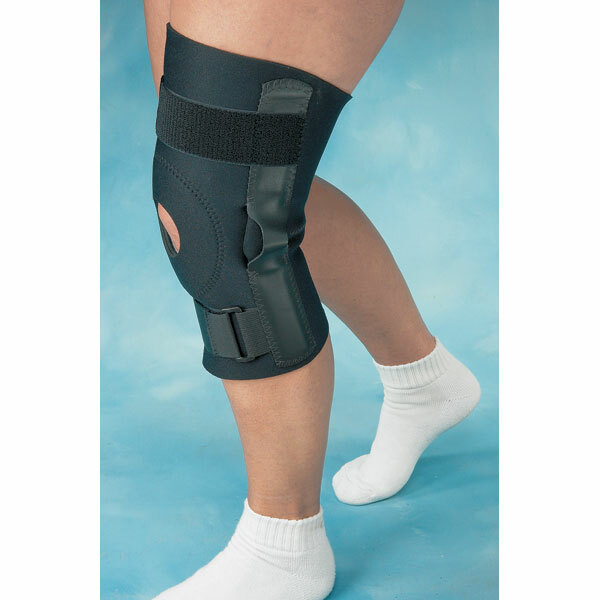 Removable, interior felt buttress pad with hook attachment provides lateral, medial, inferior or superior patellar support. Leather covering over hinges adds support and protection. 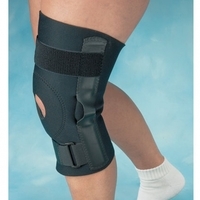 To size, measure knee circumference. If between sizes, order the smaller size.